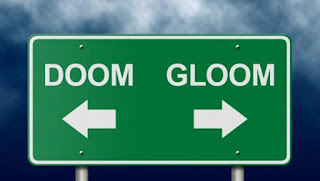 Sunderland Property Blog: Does The 'Doom & Gloom' Mean It's Now Time To Buy or Time To Sell Sunderland Property? Does The 'Doom & Gloom' Mean It's Now Time To Buy or Time To Sell Sunderland Property? One of my Landlords contacted me last week as he wanted to calculate how the forthcoming tax changes would affect him & his portfolio. He was unsure if the imminent changes meant it was time for him to sell up or conversely use it as an opportunity to buy more property! Since 2005, the rate of inflation has increased by 37.14%. That means to retain its value, a Sunderland property bought for £155,439 in 2005 would need to be worth £213,169 today! You can still make money by buying the right Sunderland property at the right price and finding the right tenant - no one should base their Sunderland property purchases on the promise of capital growth! I read you whole blogpost. Really nice post Thanks for sharing this types post.Carry on. There are also a number of people who opt for rented houses or commercial leases in order to make their financial strong by collecting many through various saving modes. It is without any doubt the best option that keeps both the landlords and tenants free from various issues.